Everybody loves to have their own iOS (iPhone/iPad) App that shows how modern they are. 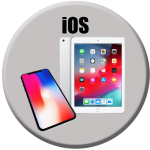 The Apple eco system with it’s smooth installation, operation and user experience is highly suitable to deliver relatively simple solutions on a pocket size device through the Apple Store. If you have an idea for an App that helps your business, AppForce.One can help you make that idea into an App on the App store. Feel free to contact AppForce.One and discuss what you would like to have.